Journalism Tips: Journalism Tips 34. Reporters out on the road: The essential kit. Journalism Tips 34. Reporters out on the road: The essential kit. On a previous tip I said you only need two things to do this job a pen and a piece of paper. Strictly speaking that is true but in order to make life a little easier you will need a few more things...as I've remembered having been put back on the road, albeit temporarily. You see the problem is it is all a bit more complicated - and expensive. So let's take as a given the basics, pen and a piece of paper (nearly enough for most local newspapers but not entirely). What else then? A mobile phone - and don't expect the paper to pay for it. You will need one even on the most backwater of locals. Newsdesks will expect to get in touch with you at any time and the mobile phone is your electronic tag....but they are unlikely to provide it. I worked at one paper where one of the reporters refused to give their mobiles to the newsdesk because they didn't want to be bothered. I believe they are now doing PR for a cats' home or something equally important. Don't even think it. The fact is that despite the fact they expect you to have one most newspaper groups will refuse to cover your contract. They will - and should - cover your work calls but don't be entirely surprised if they don't. The big change came in around the early 1990s, when mobiles then the preserve of national newspaper reporters started to be used more and more by the more ambitious local journos. By 2000 every reporter had one. I also advise you get a smart phone...failing that you will need a lot of other stuff to lug around. A Sat Nav. In ye olden days when the A to Z was king I used to turn up to jobs hot, sweaty and late because of appalling sense of direction. But the advent of the Sat Nav changed all that. Today I turn up hot and sweaty but, crucially, on time. It's saved a lot of leg work. Of course even the Sat Nav has had its day and you will find maps on most decent mobiles. A camera. I've spoken too about the need for a camera, photographers being short on the ground thesedays. The importance of photographs has risen dramatically as we slowly migrate to online. An Internet story without a photo is pretty much a dead story. Being able to send pix from the scene - and the faster the better - is a hugely useful for the online team. Many phones also do video...even better. Of course the quality doesn't have to be tip top - this is about supplementing photographers not replacing them. A lap top - WITH Internet access. Filing from the scene, especially if you work on a daily is essential. You simply can't rely on being able to get back to the office. And if it's a big on-going story then you shouldn't do. But it will probably need a dongle (or whatever they call them in the US) and that will cost. However a smart phone should be adequate to file, although certainly not perfect. 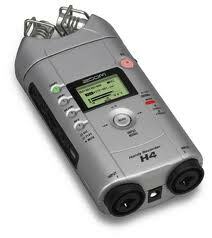 A dictaphone. Pretty useful it is too, especially when you discover that your shorthand isn't 100wpm after standing outside in -10º for five hours or when you are in the middle of a riot, it's actually less obtrusive, more or less hidden in the palm of your hand. But also when door knocking it's useful. Writing things down in front of people can make them nervous, they will become more aware of what they are saying and you will lose eye contact every few seconds to jot down what they are saying. Again most phones have them built in thesedays so it's all rather surprising that court security staff don't take them off you when you go in...unlike the dictaphone because you are not allowed to tape court proceedings. Now if you are relying on all this stuff you will also need a spare battery...unless you have an Apple in which case you will need FIVE spare batteries. Actually you won't because Apple don't have replaceable batteries. So in that case you will need - and believe me you WILL need - an external charger. Speaking of chargers if you are driving it may be worth investing in a dual cigarette lighter socket so that you can charge two devices at the same time. When on the nationals I used to take two mobiles and spare sim cards just to be on the safe side. The loss of a mobile is a major headache and is not appreciated by the desk...so what if you were mugged, no one cares. Indeed on the nationals you need a whole heap of extra stuff you probably won't need on locals or regionals. An overnight bag with at least a week's worth of clothes, although even that may not be enough. One reporter - whose I fortunately cannot remember - once complained: "I've been turning my underpants inside out so many times they look like a humbug..."
You also need your passport on you at all times. I carried mine for two years without ever going abroad until I was sent to Dubai and only just made the flight...it would have been a fairly major downer to have missed it. But all reporters need to have enough cash - as in real notes - to get the teas in. A cashpoint isn't always available but (again on nationals you will probably need a working credit card). Also a small sack of change (unless you are in London or Cornwall) in which case a large sack of change for parking. Never underestimate just how much you will need...it will never ever be enough. A radio is useful too. Oh and a book...for the really long jobs (mine was usually the Good Pub Guide but McNae's Essential Law is probably a much more useful item). Other assorted items that are handy to have around. A stout pair of boots, wellingtons, a large coat, sun tan lotion, expenses forms and an umbrella. I did: It's also worth having an electrical extension lead and additional sockets (trust me you will need them one day).